Here it is, Memorial Day, the unofficial start of summer. And nothing says “summer” like a list of so-called “beach reads”, regardless of where you actually intend to do your reading. I’ve been sizing up the stack of unread books in my library (and my office) and have resolved not to buy anything new until I’ve gotten through at least half of them, which means the e-Reader I bought not long ago will have to wait. In no particular order, here’s what I hope to have read by Labor Day. Some of them I’ve started already, some are new; others have been hanging around for several years. Moonwalking with Einstein: The Art and Science of Remembering Everything, by Joshua Foer (Penguin Press). The former winner of the U.S. Memory Championship shares his experiences, and gives us a glimpse into the history of remembering. I’ve already begun to build my Memory Palace. Now, if I could just remember where I left the darn book…. Episcopal Etiquette and Ethics: Living the Craft of Priesthood in the Episcopal Church, by (the Rev.) Barney Hawkins. New from Morehouse Publishing, this book addresses oft-asked as well as seldom-asked questions, such as “Is it all right to bless the food at a wedding banquet with a gin and tonic in my hand?” For me, the bigger question is: Do I really want to know I’ve been doing it wrong for 12 years? The Difference God Makes: A Catholic Vision of Faith, Communion, and Culture, by Francis Cardinal George, OMI. Though there is much about which the head of the Archdiocese of Chicago and I would disagree – should we ever find ourselves in such a conversation – he is a good writer. His discourses on classical theology bring me back to a discipline it’s easy to lose touch with in the daily work of parish ministry. The Heartbeat of God: Finding the Sacred in the Middle of Everything, by Katharine Jefferts Schori (Skylight Paths). The Presiding Bishop of The Episcopal Church writes with passion and her signature deep spiritual intelligence about the way our faith speaks to the issues of the day and how we are compelled to keep bringing the Good News to a needy, hurting world. American Judaism: A History, by Jonathan D. Sarna (Yale University). Recommended by my dear friend Anita Silvert; the title says it all. American Grace: How Religion Divides and Unites Us by Robert D. Putnam and David E. Campbell (Simon & Schuster). Very thick. Very analytical. And, I’m told, very much worth reading. So – wish me luck! And let me know what you’ll be reading. Who knows, it might make it to my list...in a few years! When I was in the fourth grade our class was given an art assignment to paint a representation of our favorite song. This was the year of the British Invasion; songs by the Beatles and other English boy bands topped the charts, and I recall any number of imaginative renderings of “I Wanna Hold Your Hand”, “I Saw Her Standing There” and other rock n’ roll hits, some of which have aged better than others. My painting, however, was not of a single song but a series of songs. It depicted a mill on a stream, with a lovely young woman beside it (or at least, as lovely as a ten-year-old with no exceptional artistic ability could make her). My favorite songs comprised Franz Schubert’s German lieder cycle Die Schoene Muellerin. With the exception of my teacher, no one had a clue what I had painted, or why. Influenced by my father’s taste, I grew up listening to classical music, most notably the symphonies of Brahms, the operas of Donizetti and Puccini, and the lieder of Franz Schubert. 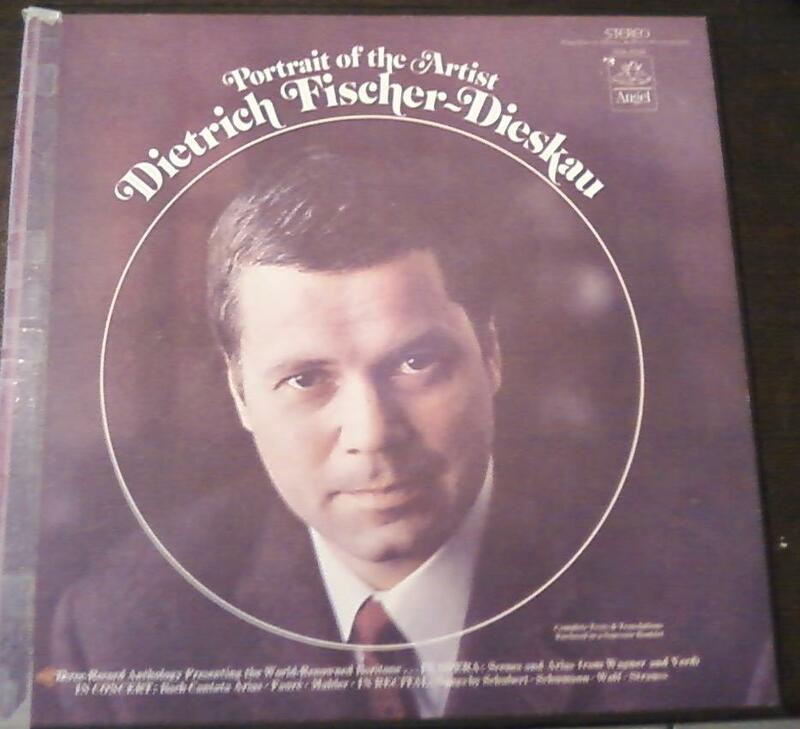 No one sang those last pieces better than my father’s favorite baritone, Dietrich Fischer-Dieskau, who died this past Friday just ten days shy of his 87th birthday. He inhabited those songs; he told their stories, his voice colored the tone and the text in such a way that the hopeful lover, the spurned and often suicidal suitor, all four of the characters in DieErlkönig, among so many, many others, all were brought to life. I sang along with my father’s recordings, memorizing the lyrics phonetically if not literally. When I began the serious study of voice in my late teens and undergraduate years, it was not to the operatic stage that I aspired. In spite of my love of theatre, I wanted to be a recitalist who specialized in the lied. I wanted to unpack, inhabit, and present these gems in miniature, to draw an audience into their stories within the intimacy of the recital hall, as I had experienced them in those many recordings. Leave the opera house and verismo to others. 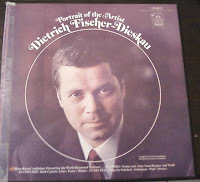 Fischer-Dieskau himself was equally at home, and equally acclaimed, on the operatic stage as well as in oratorio. In a gesture of global post-war reconciliation, Benjamin Britten recruited him to sing in the premier of his War Requiem. I loved to hear him sing Papageno. But to me he will always belong first to the world of lieder. Gute ruh, Herr Fisher-Dieskau; you were a Meistersinger indeed. If there are liederabends in heaven, my father surely will be queued up for a front row seat! As the months of May and June roll around, we approach the occasions known as Mothers’ Day and Fathers’ Day. Regardless of how we observe these days (or do not observe them) they weren’t created for the sole benefit of greeting card manufacturers, florists, and department stores. Nor are they religious holidays, even though some churches go all out to celebrate them. Of course it’s important that we honor our fathers and mothers as the fifth commandment bids us. Parents, biological or adoptive, have a tremendous influence over the lives of their children. The Church recognizes this liturgically in a number of ways, most particularly in the sacrament of Holy Baptism. But while Mothers’ and Fathers’ Days are not themselves liturgical occasions, they certainly can be pastoral ones. For those who have lost parents, these holidays can be bittersweet as loving remembrance is mixed with a sense of loss. They can be painful for those whose relationships with parents or children have been damaged. They are often extremely difficult for infertile couples. While the commercial world is touting flowers, perfume, brunch, ties and gas grills, the Church can provide a corrective as we recognize the full spectrum of joy and pain that inhabit human relationships and lift up the opportunity for reconciliation; after all, even the best of relationships have their challenges and experience occasional brokenness. In the body of Christ, God has realigned the notion of family. While we needn’t (and shouldn’t) give up our familial bonds, we should also reach out to one another beyond those bonds. We look at the men and women who have nurtured, taught, protected, guided, befriended, challenged and loved us throughout our lives, and we look at the children for whom we have done the same. Let us celebrate the gifts of all the women and men who have made each of us stronger in faith, more loving in relationships, and more authentic in living.